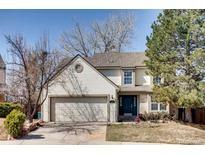 Below you can view all the homes for sale in the Northridge subdivision located in Highlands Ranch Colorado. Listings in Northridge are updated daily from data we receive from the Denver multiple listing service. To learn more about any of these homes or to receive custom notifications when a new property is listed for sale in Northridge, give us a call at 720-606-6881. Bonus room attached to master suite. MLS#9883785. Bridgette Murillo. Enjoy the Timberline Ridge community pool. MLS#8231918. RE/MAX Professionals. Home is owned by a Colorado-licensed real estate agent. MLS#3117915. Your Castle Real Estate Inc.
Quick close and move in ready! ! MLS#7372909. DakRock Consulting, LLC. Seller offering painting allowance. Hurry choose your color. MLS#9629349. LISTINGS.COM. Sellers are giving a 3K carpet allowance. MLS#2518838. Re/Max Revolution. Community has a fitness center, clubhouse, and pool. Close to E-470 and I-25. MLS#5031403. Porchlight Real Estate Group. Don't pass up your chance to tour this lovely home and make it yours! MLS#5533469. METRO TEAM LLC. Enjoy all the amenities that living in HR offers. MLS#1791580. The Denver 100 LLC.